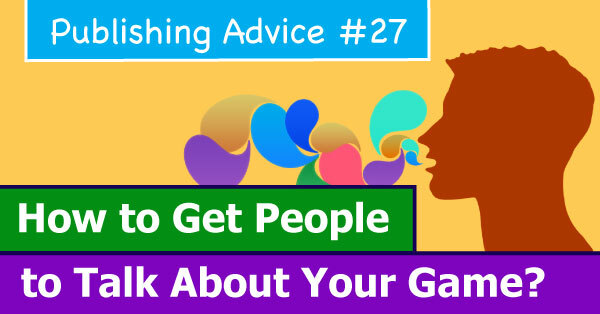 Raku On The Board: Publishing Advice #27: How to Get People to Talk About Your Game? Publishing Advice #27: How to Get People to Talk About Your Game? How can you stand out with your "best game" in the world when there are more than 1000 new games published every year? Competition is horrendous. There are loads of incredibly good games out there. Everyone knows that to succeed as a publisher, you need an outstanding game, not just very good but outstanding. But can this guaranty your success? Not really - there is much more in it! You need to do your homework, but now I'll write about something different! About something which will help you to stand out! We all know that word of mouth is the best marketing tool out there. Most likely we don't trust commercials, banners or we are just fed up with them. But if your friend will tell you about a game or recommend you one - then I'm sure you'll believe him/her, and you'll be interested or at least curious why your mate was so excited. So you want to make people talk about your game. But how? This year at UKGE I went to a seminar: How to Market Games. It was an eye opener to me. I always thought that an amazing game would make people talk about it. And it's somehow true, but it's not the only truth. So what I learned is word "Remarkable"! Yes - just remarkable. People want to talk about extraordinary things. So what you need is something remarkable! Ok, let's cool down now. So my game have to be remarkable, right? That's not the point. You need SOMETHING remarkable about your game, project or yourself! It doesn't have to be your game itself. Just give people reasons to talk about your game! I'm sure you know Scythe from Stonemaier Games. I think almost everyone heard about this games at least once from their friends! The artwork and worldbuilding by Jakub Rozalski is a real masterpiece. I can easily say that's something remarkable and one of the reasons that people talked about the game so much! Vast: The Crystal Caverns by Leder Games has a very interesting mechanic. I was talking about this game a lot in my board game group, and I know that other people did as well. The game is not only asymmetric. Each role (fraction) plays completely different - it is like few mini games working together forming one great game. This mechanic is something remarkable. Here is one of the hits, Exploding Kittens. On Kickstarter, more than 200 000 bakers brought the game to live. But that is just the beginning. In one year they sold over 2,5 million copies of the game. As in many cases, there were few things extraordinary about this project. But what I wanted to show you is that your story can be remarkable. Elan Lee was a lead game designer at Microsoft for its Xbox project (he designed 'Halo'), and after he had left Microsoft, he started running several companies mainly in the digital gaming industry. Then suddenly he decided to create a card game?! That is not what you would expect from one of the top game designers in the digital game industry! That is something remarkable - everyone was curious what's going on, why would he go for a card game?! And here's another example from Exploding Kittens. Matt Inman is the owner of super popular The Oatmeal webcomic and humour website. Around the world, people love his style and sense of humour. His website and style became something remarkable. People were spreading the word very quickly about Exploding Kittens knowing that with Matt in the team the game is going to be incredibly funny. For instance an amazing video, theme of the game, soundtrack - anything! At the seminar speaker showed us a good example of something remarkable. When you drive your car and see cows on the field, they won't attract you in any way. They are just ordinary boring cows. Why would you want to talk with you friends about brown cows? Imagine now what would happen if you would see a purple cow on the field? I bet your reaction would be WOW - purple cow! You would start talking to your friends about the purple cow you saw - that's amazing. 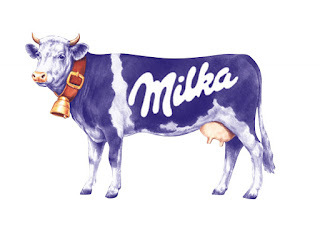 A purple cow is a part of Milka's branding - a chocolate confection company. It's not the quality of milka's chocolate which makes me talk about it but the purple cow. Personally, when I'm looking for chocolate - the one with a purple cow on the packaging makes me more curious about it. And the brand is more recognisable as well. So if there are so many excellent games out there, how are you going to make people talk about your game. Think about something REMARKABLE! Do you know remarkable elements of other board game projects? Maybe you got an extraordinary thing in your project? I'd love to hear from you!